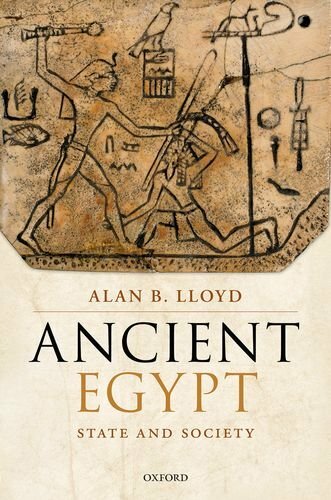 In his introduction, Professor Lloyd is at pains to point out that he is not attempting another general study of Pharaonic Egypt, but rather an in-depth study of the institutional and ideological systems that underpinned the long-term success of Egyptian civilisation, and the development of Egyptian culture as defined as the methods (a complex interaction of technology and social and spiritual systems) people used to try to control their environment – or at least to create an illusion of control. Beginning with an overview of Egyptian history to provide context, Professor Lloyd then summarises the current archaeological knowledge of prehistoric Egypt, and compares this Egyptian evidence with a model that proposes four stages of development (hunting bands, tribes, chiefdoms and states) in the evolution of Prehistoric societies in order to generate a more accurate assessment of the mechanisms that led to state evolution in the Nile Valley, highlighting in particular the development of a socio-political structure, economic development and the role of visual art in making statements of political power and activating forms of ritual potency. The author then analyses the main aspects of Egyptian culture that gave it its particular character and longevity: kingship and the pharaonic state, the role of violence in creating and maintaining the state, the evolution of administrative government, interaction with and attempts to control and conceptualise the environment, and the processes of continuous affirmation of ideology over time, in particular through art and literature. A final chapter covers the unravelling of the traditional Egyptian civilisation that began with the conquest of Egypt by Alexander the Great (332 BC). 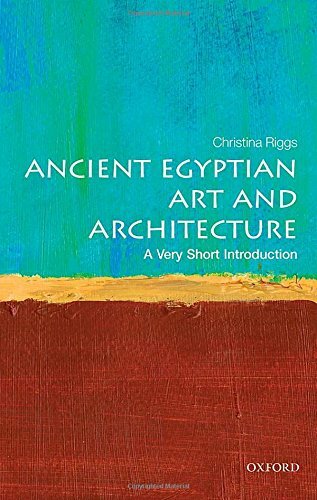 Aimed equally at students, non-expert professionals and general readers, this is an essential work for anyone wanting to know more about how ancient communities on the Nile created one of the most successful and lasting civilisations of the ancient world. The Delta site of Sais was an important ancient centre of Lower Egypt as far back as the Early Dynastic era, becoming a royal centre briefly during the Twenty-sixth Dynasty (c. 664-525 BC). Excavation work in the early 2000’s originally focussed on surveying material from this Saite Period, but the teams also uncovered evidence for a thriving Neolithic culture. This led to the 2005 excavations (by the EES, the University of Durham and the SCA) of the ‘Great Pit’, close to the modern village of Sa el-Hagar, focussing on this early material and any connections with the ‘Buto- Maadi’ (Predynastic) period material in the layers above. Following detailed reports of finds from different strata, including separate chapters concentrating on stone tools, pottery, small finds and animal and plant remains, the authors describe the sequential phases of settlement at the site which began with a fishing community settling on the eastern bank of a major river channel. A shift in the river caused the area to become a flood plain, after which a new community of herders arrived to exploit the area, hunting and fishing, living in wattle-and-daub huts and making and using a range of stone tools. Further alterations in environmental conditions led to changes in settlement until the rise of the Saite Dynasty brought better control of river flooding and massive redevelopment of the area. 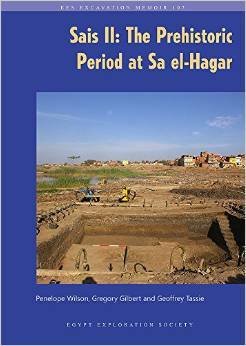 Sais II gives a fascinating insight into the very earliest settlements in the Nile Delta. As the only Neolithic floodplain site in Egypt to be excavated so far, the discoveries made here are vitally important in understanding the development of settlement and agriculture in the Delta area, and are timely given that the area is soon to be filled in to provide building land for the modern-day local community. Do we really need another ‘introduction’ to ancient Egypt? That was the first question that occurred to me; but Charlotte Booth, a regular contributor to AE (the magazine is included in the book’s bibliography), has chosen a very novel approach. Rather than arranging the contents chronologically, or concentrating upon the physical remains of the ancient civilisation, such as monuments or the mummies of royalty and the elite, she has instead given the reader a glimpse of the way in which ordinary people lived and viewed the world around them. Each chapter covers a different aspect of this: the Egyptian environment, the Nile and the various capital cities through the millennia; the religion, with its hundreds of deities; life in a village; growing up and the transition into adulthood, including marriage and childbirth; and finally, disease, death and the afterlife. Some topics are covered that one would not expect to see in such a slim volume (less than 100 pages), such as games and toys, homosexuality and even circumcision, but these give the book an appeal to the reader that is absent or well hidden in more academic tomes. 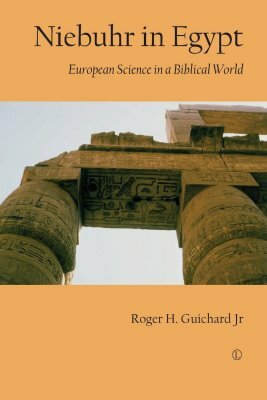 Too many subjects are omitted, such as warfare and transport, for example, to make this a complete “Introduction to Ancient Egypt” and a better title might have been “An Introduction to Life in Ancient Egypt”, but nevertheless it is a worthwhile read for someone starting to study the subject. edited by Peter Der Manuelian. Another ‘Introduction to ancient Egypt’? Well, yes, but again one with a unique twist. This is a book aimed at the modern generation with severe time pressure and a limited attention span! The book does exactly what it says on the cover, and will be a very useful quick reference book, especially since its entries are written by American and Canadian Egyptologists with impeccable academic qualifications: Rachel Aronin, Marianne Eaton-Krauss, Ronald J. Leprohon, Nicholas Picardo, Thomas Schneider and Peter Der Manuelian himself, who is Philip J. King Professor of Egyptology at Harvard University. This, the third of the new ‘introduction’ books reviewed in this edition, is again very different from the others. It is physically small, but has 132 densely printed pages, with relatively few illustrations, all in black-and-white. 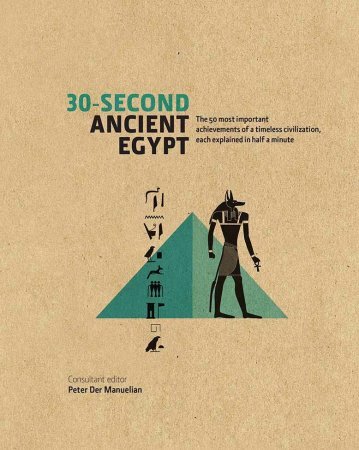 It comprises a series of essays exploring the topic in its title, and though small enough to fit into a pocket, is not in any sense a guide that one would take on a trip to Egypt, but rather a book to be studied by readers previously unacquainted with the ancient Egyptian civilisation wishing to extend their general knowledge into a new field. This publication is a detailed, thorough, preliminary account of the work undertaken by the “American- Egyptian South Asasif Conservation Project”, especially in relation to their clearance, restoration and reconstruction of the Twenty-fifth Dynasty tombs in the title. Although the above description sounds somewhat dry, in actual fact the book strives to be readable to the general audience and many of its chapters ‘set the scene’ and place the tombs and discoveries in their appropriate historical context. In this way the book serves as far more than a mere record of discoveries; it reveals much about the historical development of tomb architecture and religious beliefs in the Kushite period. Profusely illustrated, much of the text leads you through the artistic decoration of the tomb of Karakhamun in some detail, discussing the choices the tomb owner made. The use of the Saite Recension of the Book of the Dead’ as a text for the Second Pillared Hall of TT223 shows that this version of the Book clearly has its origins in the Twenty-Fifth Dynasty and not the Twenty-sixth as previously believed. The excavation of this tomb shows that much of what we thought to have understood about this period now needs to be reconsidered. 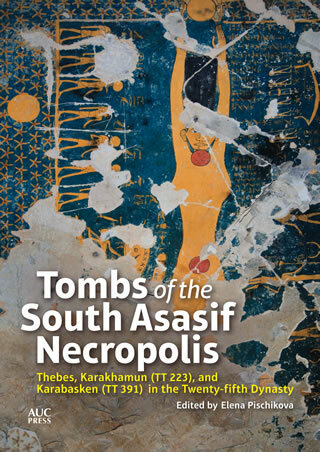 This volume adds a great deal to our knowledge of the tombs and religious beliefs of the Kushite period and is therefore worthy of serious study for anyone interested in this often-overlooked period of Egyptian history. by Roger H. Guichard Jr. The Royal Danish expedition of 1761-7 sponsored by King Christian IV was one of the first planned explorations of the Orient. This book tells the story of that voyage, concentrating on the twelve months spent in Egypt in 1761-2. It details the adventures of the expedition and especially its cartographer, Carsten Niebuhr, who was the only one of the five-man team to survive. The brief given to the party was to investigate questions relating to the biblical stories, but with a botanist and a philologist among the team they soon began to range over a wide field of exploration. Niebuhr can be credited with the realisation that hieroglyphs should be read by reading towards the face of animals and human figures, and the insight that Coptic was a potential key to the ancient Egyptian language. Though the expedition to the Sinai ended in failure (the monks would not let them in to the monastery), he was the first Westerner to see the temple ruins of Serabit el-Khadim, even if he thought it was a graveyard. The book gives an accessible insight into the condition of Egypt in the 1760’s, still nominally part of the Ottoman Empire, and before the arrival of Napoleon in 1798 and the opening up of the country in the nineteenth century. The author is careful to explain the findings of the team in a variety of fields including biblical and classical studies, history, geography and science. Given the varied specialist topics there are occasional mistakes, which the eagle eyed will spot, such as the incorrect spelling of the Pharaoh Senwosret or the goddess Nephthys, and the placing of the prophet Jeremiah in the sixteenth rather than sixth century BC. However the work provides a valuable insight into the political, religious and cultural setting of Egypt at an important moment in its history between the mediaeval and the modern world. For those interested in the wider context it is a useful and readable account. Michael Tunnicliffe Michael Tunnicliffe is a freelance adult education tutor; he holds degrees in Theology and Biblical Studies and the University of Manchester Certificate in Egyptology. I have kept a copy of the first edition of this book, A Traveler’s Guide to the Geology of Egypt (reviewed in AE30) close at hand for a number of years now. As a geologist myself, an important part of preparing for any trip is to understand the landscapes, which reflect the geology and geological processes that have been experienced over tens of millions of years. Despite the numerous weighty academic tomes that are available, there is little that provides such a valuable initial point of reference as this guide. 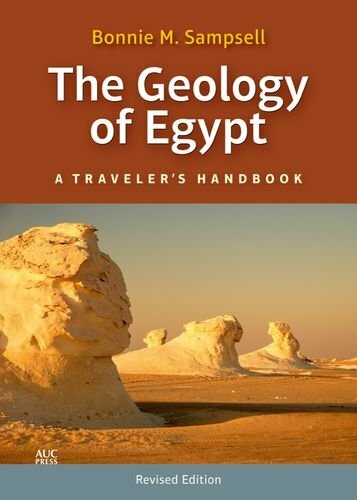 The revised version, given a subtle change to the title: The Geology of Egypt: A Traveler’s Handbook, preserves the basic structure and chapter layout of the earlier version. Beginning with a readily accessible introduction to the key geological concepts, these concepts are then applied to present an overview of the way in which geology has influenced the Egyptian landscape, followed by chapters on the River Nile and individual regions within Egypt which takes the form of a journey from south to north, from Lake Nasser to the Delta, and then along the Mediterranean coast to Alexandria, with chapters on the Eastern and Western Deserts, the Red Sea, the Suez region and the Sinai Peninsula. 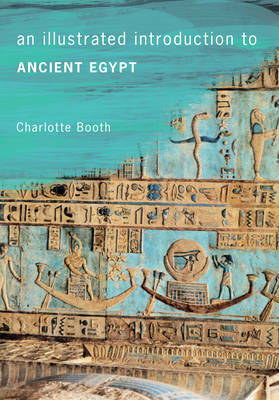 At a number of places along this imaginary journey, the author considers how the geology has influenced the archaeology of specific areas and explores the way the ancient Egyptians utilised the geology that lay all around them in their quest for immortality and to honour their gods. What makes the book so readily accessible is that each chapter is concise and presents the essential information without over-doing the detail – allowing non-geologists to develop a good general understanding of the key issues in each area. The most significant change in the revised edition is the final chapter on the conservation of Egypt’s cultural heritage. Focussing mainly on the Luxor area, the challenges facing Egyptologists are discussed and the various methods available to preserve or restore the archaeology are explored, illustrated with new colour photographs. The one issue I do have with the book is the discussion on the age of the Great Sphinx of Giza which I believe to date to the Early Dynastic period, a conclusion which is based on a range of geological and other evidence. Bonnie Sampsell does not share my conclusions and given that her book is not intended to look at this or any other geological issue in depth, perhaps this is understandable. But whilst the author and I do not agree on this specific issue, I do consider this book to provide an excellent introduction to the Geology of Egypt. Colin Reader Colin is a regular contributor to AE; read more about his theories on the Sphinx in AE84. 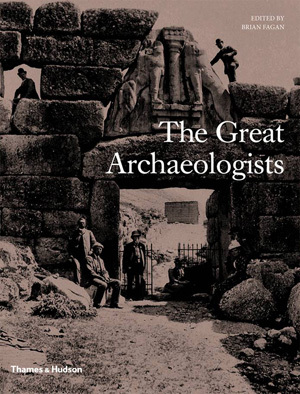 This handsome publication reviews the lives and discoveries of seventy ‘Great Archaeologists’, each reviewed by experts in the field. Included in the list are many famous names from Egyptology which will be familiar to our readers: Belzoni, Champollion, Lepsius, Mariette, Petrie and Howard Carter are each given a chapter to themselves. In each case the reader is treated to a short, though well-rounded and well-researched, account of the life and major achievements of the archaeologist concerned. Each chapter provides just enough information to paint a vivid portrait of the individual concerned before the text moves on to discuss their discoveries in more detail. In many cases this approach leaves the reader wanting ‘just that bit more’ and providing an excellent inducement to further reading and study (aided by a concise bibliography). The book has a truly worldwide scope; alongside the more familiar civilisations such as ancient Greece, Egypt, Rome, Persia and Babylon, it takes us much further afield, looking at pre-history in general: the Mayan civilisation, the Indus valley, ancient China, Polynesia and African prehistory to name but a few. The book is exceptionally well illustrated with contemporary drawings, paintings and photographs taken from the period under discussion. Almost every page contains an illustration and as many of these are reproduced in half-tint or in a restricted palette they give a wonderful contemporary feel to the pages that transports the reader back in time to the period when the discoveries were made. This is a book the reader will want to return to again and again – and it would, therefore, make an excellent Christmas present for any budding (or armchair) archaeologist. by Andre J. Veldmeijer & Salima Ikram. This book, in A4 format, is the product of a training project for curators “researching museum collections”, which encompasses an holistic approach, involving museologists, leather specialists, archaeologists, Egyptologists, archaeobotanists, illustrators and photographers. 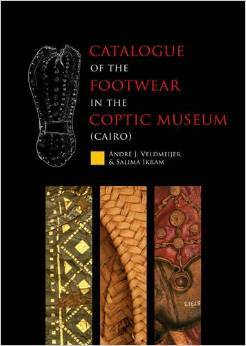 The introduction gives a short history of the Coptic Museum to set the scene for the study of ancient Egyptian footwear. It explains how the material is classified into distinct groups (sandals, shoes, boots and so on) and then subdivided into categories and types. The explanation of the terminology used is invaluable for anyone using the book as a basis for study or for comparison with other museum collection pieces and it is very helpful to be able to refer back to the detailed terminology as one progresses through the book. In the first half of the catalogue, each item is given a very detailed description including type, materials, measurements, catalogue numbers and locations. This is followed by a discussion relating each item to other similar items in the catalogue, with detailed notes about the characteristics of the different types of footwear (which is again very helpful for comparison). The rest of the book is a treasure trove of photographs and illustrations. The range and quality of these completely complement the written materials and are almost (though not quite) as good as seeing the objects themselves. Regina De Giovanni Regina De Giovanni, a Textile Artist and Researcher, uses Museum Collection pieces as the basis for Community Textile Workshops. Many of the books reviewed in this and previous issues are now available as e-books or downloadable pdf files – one such is Soulful Creatures. This well-illustrated book (reviewed in AE80), featuring examples of votive animal mummies from the Brooklyn Museum’s collection, translates well into a digital book; the photographs look stunning on screen with the added advantage of being interactive, so you can make each full-screen or zoom in for greater detail. The size of the text, too, can be altered to suit (great for when you can’t find your glasses! ), and can be easily searched and annotated with bookmarks, notes and highlighting. You can also choose to view holding your tablet horizontally or vertically using the scrolling display for easy reading. I still believe you can’t beat a beautifully presented paper book, but I have to admit the quality of the images on screen, together with the search and manipulate facilities, really do enhance your reading experience. The era of the digital book is surely here to stay.